Cyril Muller, Vice-President of the World Bank for Europe and Central Asia, intends to visit Uzbekistan in March this year to discuss the most promising projects, Trend reports via the Uzbek media. Negotiations were held in Washington between a delegation of Uzbekistan, composed of Vice Premier Tanzila Narbayeva, Minister of Employment and Labor Relations Sherzod Kudbiyev and Chairman of the Uztextileprom Association Ilkhom Haydarov with Cyril Muller, where he told about his intentions to visit Uzbekistan. During the negotiations, Muller noted the possibility of cooperation in three main areas. 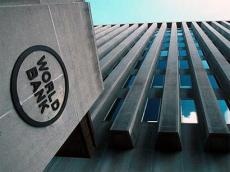 The first is the continuation of the tripartite format between Uzbekistan, the World Bank and the International Labor Organization (ILO). The second is the promotion of employment and the creation of favorable working conditions. The third is the implementation of projects related to gender equality, infrastructure development, increasing energy efficiency, modernizing agriculture and ensuring food security, increasing the country’s trade and export potential. Muller noted two fundamental achievements of Uzbekistan: a steady decline in the number of forced labor cases and the introduction of effective mechanisms for monitoring, feedback and response.